﻿ Best Price on Villa Touloulou in Saint Paul + Reviews! Villa Touloulou is a beautiful property facing English Harbor that features beautiful gardens, terraces offering panoramic views and Wi-Fi access. 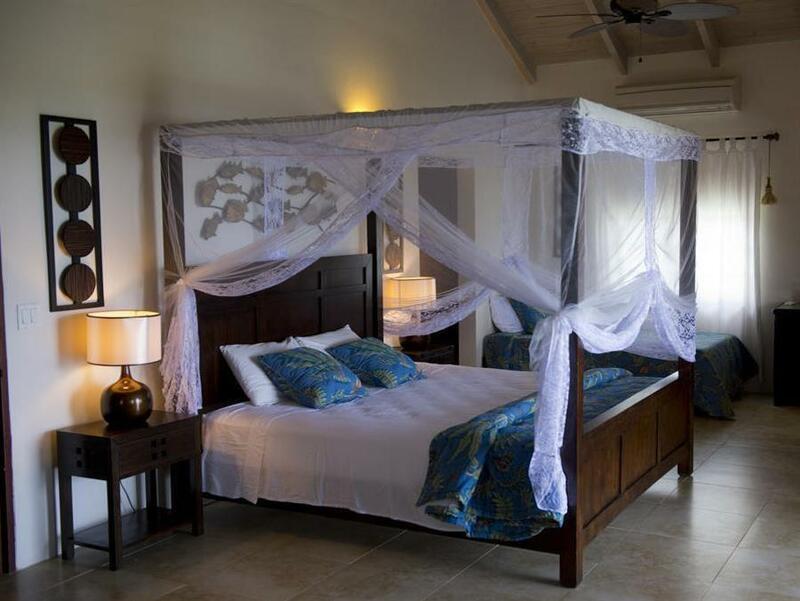 The property is fully furnished and provides linens and towels. The apartments and studios are air conditioned and include flat-screen cable TV and DVD player, plus ironing appliances. They are distributed in living and dining areas, kitchen and bedrooms. The bathrooms include a hairdryer. Guests at Touloulou can cook a full meal en suite, and Spencer’s Supermerket is 3.7 mi away; there guests can buy all what they need. Antigua y Barbuda Museum is 11 mi from Touloulou and Windward Bay Beach can be reached in a 10-minute drive. Popular activities are swimming and diving. VC Bird International Airport ins 30 minutes’ drive away.